“ How precious is Thy lovingkindness, O God! And the children of men take refuge in the shadow of Thy wings.” (Psalm 36:7). Several years ago, I was thinking and praying about opening a discipleship training school here in the States. As our BFF board members discussed, it was evident that it was not the right time, though the need was and is very great. I needed to focus on international training. I have many pleasant memories of my first trips to India about 2004. These memories have come flooding back as I began to update our international material for the Seed Project. 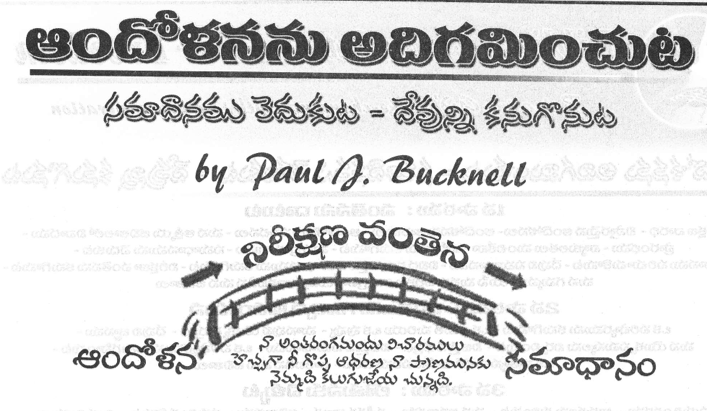 I discovered some handouts and even a few books in Indian languages of Hindi and Telugu (right). I found that I could easily scan the old pages and correct their position with an up-to-date scanner and computer. This would have taken an incredibly long time a decade ago. Actually, my hard drive, scanner, computer memory, web storage just were not adequate to handle it and so the project sat on one the shelf. 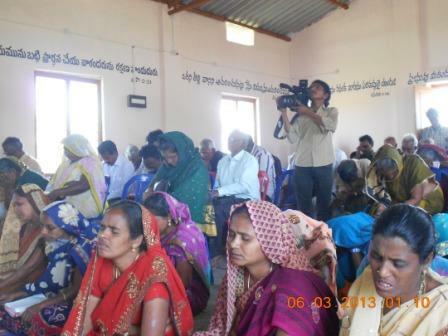 Interestingly, the brother that I worked with, Pastor Stephen (left), recently wrote and shared pictures of a new church in a branch village that was just dedicated (below) and his vision: “Still we have 3 branch churches in different areas; we have targeted to plant 17 more churches by the year of 2020.” God is strengthening our brethren around the world for a grand welcome of Jesus’ return! The Lord has raised up BFF to be one of His strong arms for strengthening His people for work in His kingdom in these latter days. If we can plant a seed with our library resources, then the plant can grow up strong and spread God’s blessings to others. Think of a strawberry plant that sends out runners that becomes a new plant. The plant not only has strawberries but starts other strawberry plants. This is our hope for the Seed Project. (1) The Church is ignorant – Cults – There are many cults, but this does not mean all are trying to misrepresent God’s Word. Like Apollos (Acts 18:24), they are willing to adjust their teaching when corrected. God’s people often lack proper understanding of the scriptures. (2) The Church is leaking – Liberalism – Many Christian seminaries–even in Asia–are tainted with liberalism. The students are not often aware of this and just accept it as normal. By offering biblically-based training resources, we hope to counter how they handle God’s Word encouraging them to have a strong belief in God’s Word. (3) The Church is weak – Inadequate training – Even those going to ‘good’ Bible colleges, seminaries, etc., often are not ready for ministry. Jesus tells them to go and make disciples, but they have neve r learned how! They want to be strong but are afflicted with all sorts of temptations and don’t know how to properly handle them. The unwillingness of pastors to counsel others often reflects inadequate training. The Lord wants to equip us so that we all will grow up to be strong men and women of God. I believe God has raised up the BFF ministry to be one of the means God will bring about further delight in Him and His works. You can see the importance of daily praying for those to receive these training materials and that the spirit of God might wonderfully use them. I discovered some wonderful translated BFF materials that are now in the process of being placed on the web. Still thoroughly enjoying the time writing for an upcoming book. The Lord has been blessing opportunities to preach and teach. Good conversations with coordinators to the Spanish world. Leaving May 8th! The Seed Project is going forth. Please pray for the full funding for the STM trip to the Spanish world. 7 weeks to go! Allison still seeks funding for the 2nd and 3rd payments for this semester. Teaching several times in coming weeks including this Sunday, March 17th. Perseverance to prepare all our international training materials for the Seed Project. Pastors are in pain in the Philippines! One was in a bike accident and the other down with a fever for a week. Without medication they are suffering. 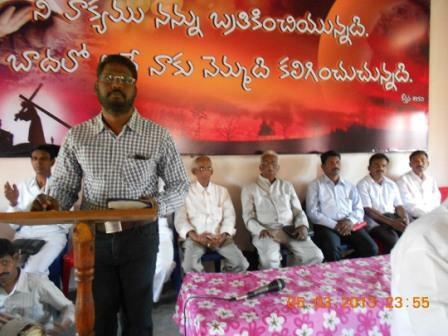 Pray for Pastor Stephen to see 17 new churches by 2020 there in India!